The Dzogchen Tantras (Tib. རྫོགས་པ་ཆེན་པོའི་རྒྱུད་སྡེ་, dzokpa chenpö gyüdé, Wyl. 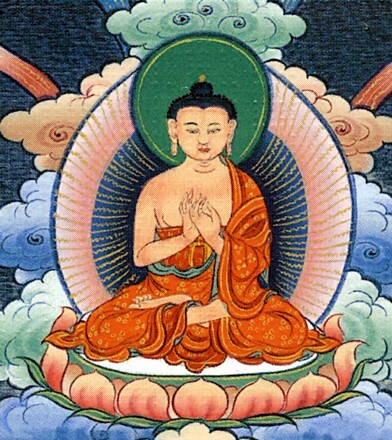 rdzogs pa chen po'i rgyud sde) were compiled by the first human Dzogchen master Garab Dorje. According to the writings of Longchenpa, the phrase “six million, four hundred thousand tantras” is actually meant to be taken as 6,400,000 stanzas. As for the number of tantras, there are said to be 22,000, corresponding to the number of subtle channels in the vajra body. Because of the way in which the subtle body is formed, there is a correspondence between the number of channels and the number of tantras. Other commentators have said that there are 6,400,000 stanzas in Mengak dé alone; and another 6,400,000 in Sem dé; and when it comes to Long dé, some say there are six million, while some say five million. ↑ Nyoshul Khen Rinpoche, private interview. Tsele Natsok Rangdrol, Mirror of Mindfulness: The Cycle of the Four Bardos, translated by Erik Pema Kunsang (Boston & Shaftesbury: Shambhala, 1989), Appendix 'The Dzogchen Tantras' (summary of the teachings of Vimalamitra, Longchenpa and Khenpo Ngakchung as recorded in the Nyingtik Yabshyi and its related commentaries.). This page was last edited on 2 April 2018, at 23:28.